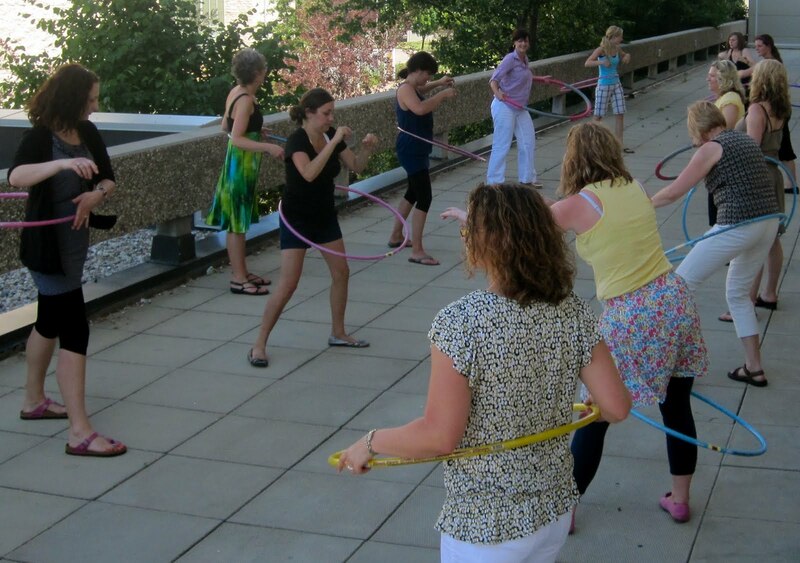 The hula hoop has re-emerged as a dance, a form of exercise, and entertainment. There is even an International Holiday World Hoop Day. Hoopers perform body tricks, hand tricks, use large hoops for slow hooping, fire hooping and glow-in-the dark hoops for night hooping. 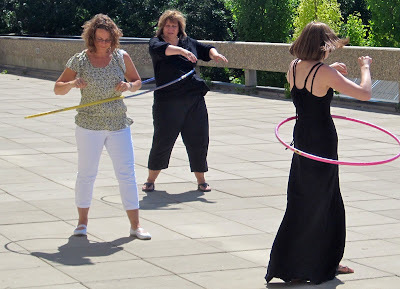 Hooping is all over the internet, there are clubs, groups, and fitness classes. In a class that I recently taught, the focus was on circles. We made mandalas, played circle games, talked about the archetypal essence of the circle, did some art therapy exercises using circles and ended the day with hooping. It was a wonderful way to end a day. Hula Hooping exercises 30 core muscles, improves balance, and tones the body. http://www.hulahooping.com/ If you have never tried it, it is a tremendous workout. PS: loved your previous post on mandalas! Yep- I'd love to do some hula hooping. Hee-hee just the thought of hula hooping has me laughing. I haven't tried one since I was 14? Whew long time, I don't think my body knows how to move like that anymore.